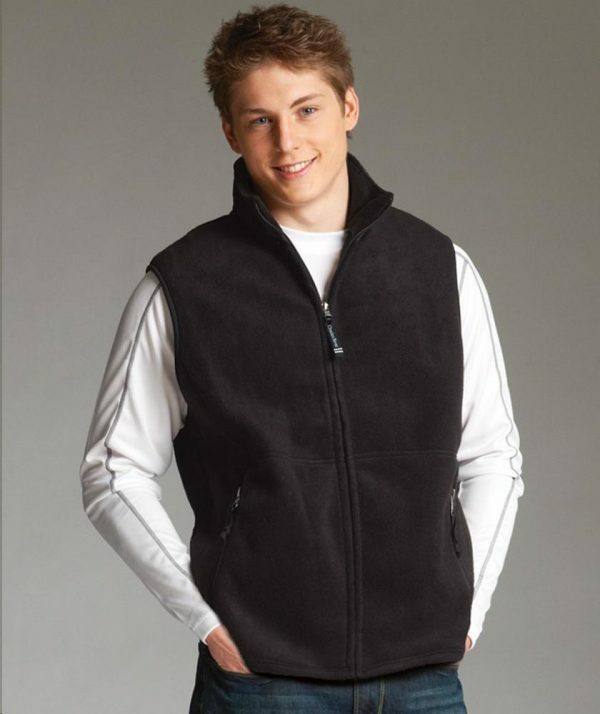 SKU: CR-9503 Categories: Men's Outerwear, Vests Brands: Charles River Apparel. Plush and anti-pill Loftex fleece 8.85 oz/yd2 (equiv to 14.75 oz/lyd, 300 gsm). Full zip design with covered black coil zippers accented with silver zipper heads. Stand-up collar with Taslan Nylon for wind resistance. Zippered side pocket.